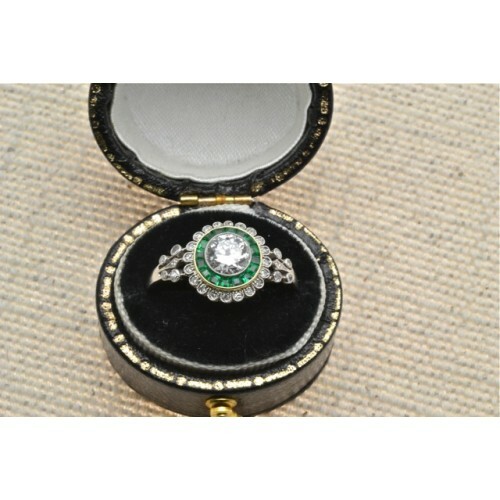 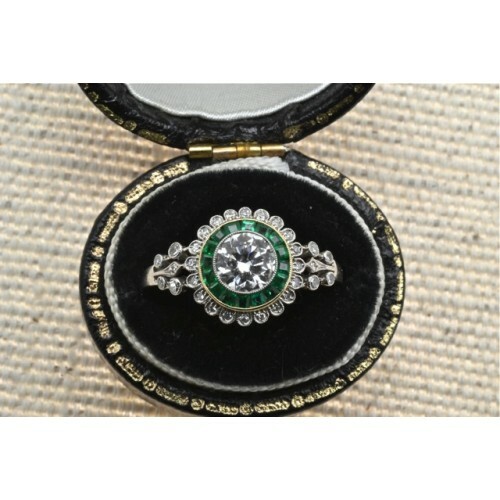 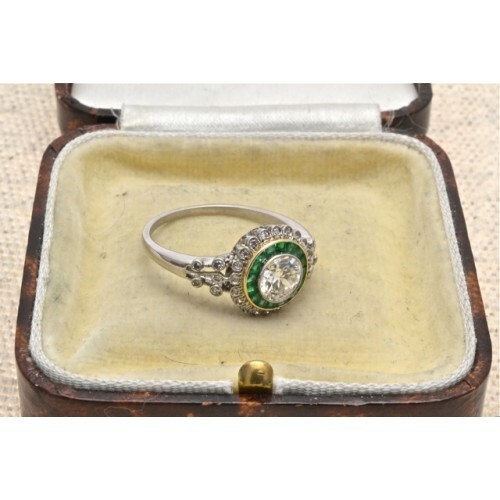 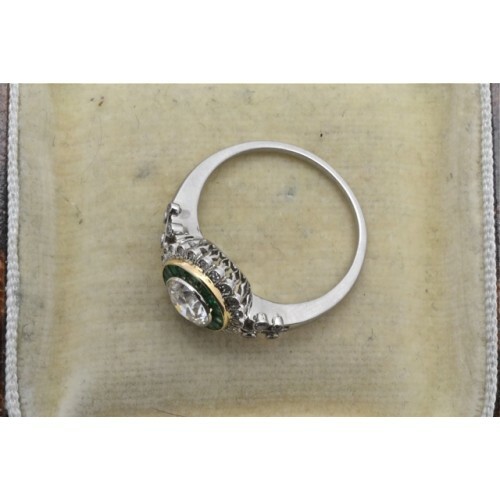 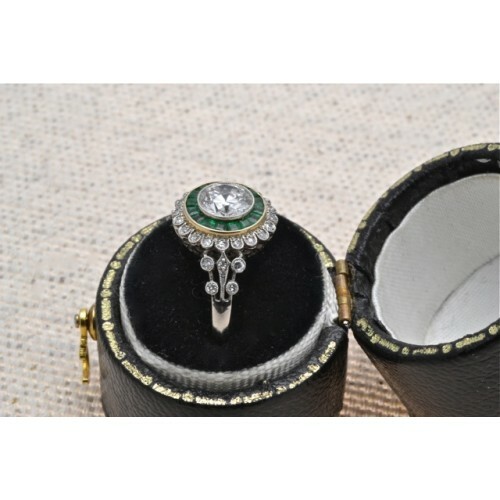 Antique platinum diamond and emerald ring. 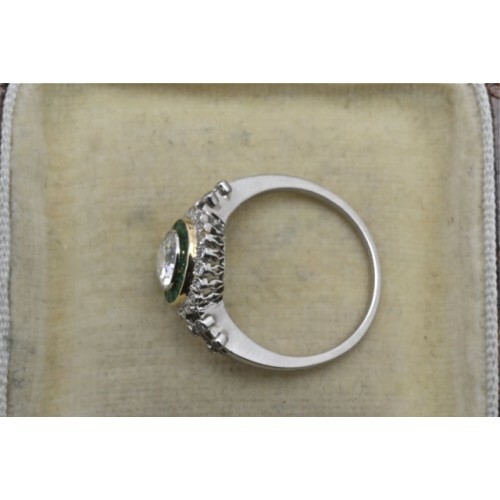 Antique platinum diamond and emerald ring having a centre round old cut weighing circa 70 points F/G Colour, SI Clairty, this is surrounded by sixteen callibre cut fine emeralds and an outer row of thirty smaller diamonds incorporating the pierced shoulders. 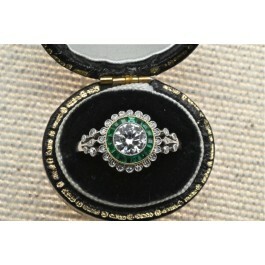 Very fine target style ring.